New York Flyers | Run S.M.A.R.T. 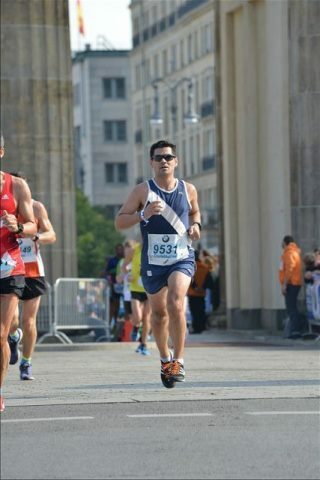 Chris Brennan of Brooklyn, NY ran a personal best at the Berlin Marathon last month. 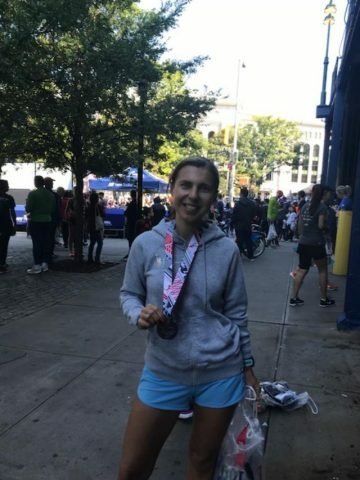 In 3-years, since working with The Run SMART Project as part of the New York Flyers’ Marathon Training Program (MTP), Chris has now dropped his marathon time from 3:31 all the way to 3:00! 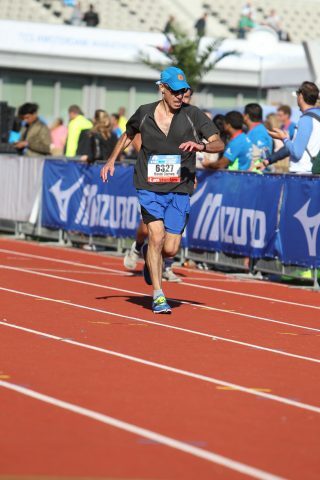 His official time in Berlin was 3:00:44, just over a minute under his VDOT Plan Predicted time! [Official result] After starting a little slower than planned due to early traffic (and he was wise not to weave through it), Chris breezed through the half a little off pace in 1:31:40. But then he closed in 1:29:04! Yowsers!!! We should note that Chris supplemented his plan with a lot of cross training this time around so his extra credit clearly paid off late in the race.